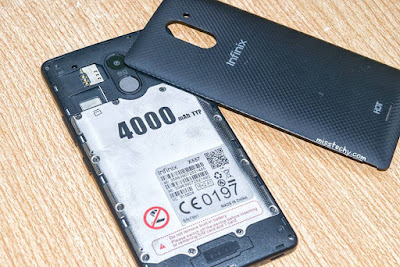 Infinix Hot 4 X557 is a smart phone by Infinix mobility which runs on android version 6.0 Marshmallow Chameleon XOS, it was released on August 2016. This phone comes with 13MP rare camera and 5MP front camera,powered by 1.3GHz quad-core coatex processor type, quality battery of 4000mah, finger print sensor and lots more. There are some reasons why you might want to root your Infinix Hot 4 most importantly unlocking its full potentials like controlling every feature, backups, customization of features, version upgrade, and so on.... on your infinix Hot 4. So many have tried to root their Hot 4 with some of the popular rooting apps like latest Kingroot, Vroot, Framaroot, Tecnoroot, Rootgenius etc., but failed. here we are ready to show you how you can root that your Infinix Hot 4 within few seconds. first, note: always unroot your phone before performing updates and factory resetings to avoid Bricking issues. After a successful flashing go back and reboot. If you followed me to this point congrats your Hot 4 has successfully been rooted. 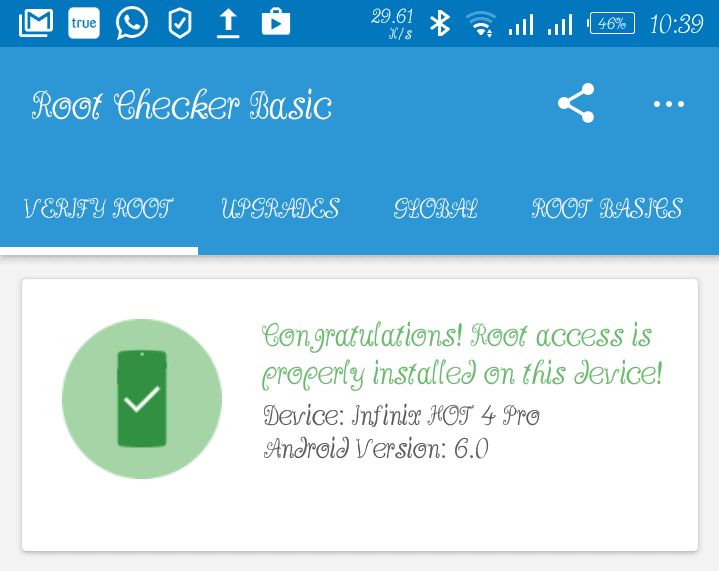 There are ways to check your root privileges like ROOT CHECKER available on google playstore, install and run rootchecker then a sucess message will be sent to you immediately. I hope this article was helpful, comment and share with friends.